Haig Ski - The Portes du Soleil, made up of 12 resorts spanning France and Switzerland is the largest international ski area in the world. The Portes du Soleil, made up of 12 resorts spanning France and Switzerland is the largest international ski area in the world. 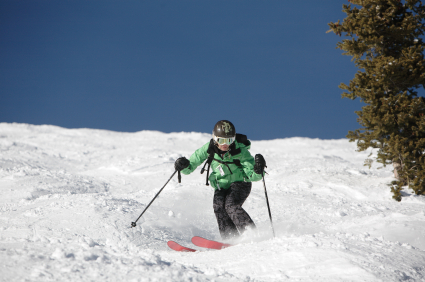 It has an enormous variety of slopes both around the treeline and above. There are gentle, wide open runs for beginners, endless intermediate terrain and for advanced skiers, there are demanding bump runs, a huge choice of easily accessible off piste,powder bowls and hidden valleys. SKI LEADING . 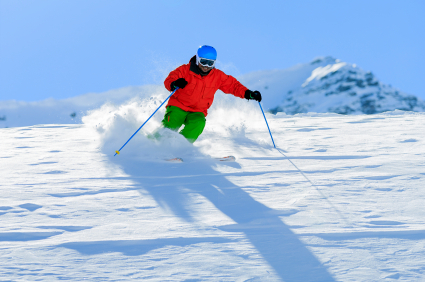 With over 20 years experience of the area we can ensure you chose the best slopes. No time wasting.No getting lost and always finding the best stops for hot chocolate or lunch ! This service is available across the border into Switzerland. With our courtesy minibus you have easy access to any of the lifts whenever you need. It`s like having your own private chauffeur.We know all the closest points to the lifts and bottom of the slopes so you can usually ski right back to the minibus.You will never have to trudge about with ski equipment ! If you require instruction, we recommend one of the following English speaking ski schools. Pre-booking is essential during busy times. www.allmountainrental.com in Morzine provides a wide range of excellent equipment to suit all abilities. The shop is conveniently en-route to the slopes and the efficient, friendly English speaking staff will quickly get you kitted out. A 20% discount is available for equipment booked online in advance, which also saves you time in resort. Just click on ‘Haigski’ and ‘collect from shop’ to secure your discount. 6 day young person(16-19 yrs) or Seniors from 65 yrs - 234 euros. lift passes are payable in resort in euros.